The Grammy are about to happen, so I thought it would be interesting to see if I could predict the album of the year based on what the reviews of the nominations. Sturgill Simpson A Sailor’s Guide to Earth. To do this I looked at some of the more significant music review sites that have written reviews of all or most of the five nominees: Pitchfork, Rolling Stone, Spin, All Music Guide, and Billboard. 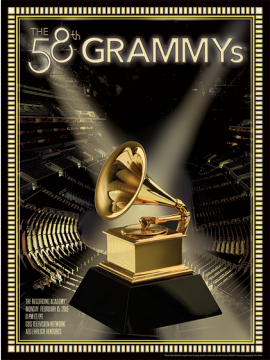 I also looked at some of the Top 50 Album lists for 2016 to see where these Grammy nominated albums ranked. And finally the court of public opinion. Here are the review scores and links to the reviews. Billboard – see notes below. I removed Billboard from the numeric calculations since they did not present a review for three of the albums. Based on these reveiws, the Canadian contingent drops out with Justin Bieber at 19.7 and Drake at 19.8. Adele faired a bit better at 21.8. Sturgill Simpson the dark horse comes in a strong second at 23. Queen B’s Lemonade comes out clearly on top with 26 points. Interesting that Billboard never published reviews of Drake’s Views, Beyonce’s Lemonade or Sturgill Simpson’s A Sailor’s Guide to Earth – although the republished article Beyonce’s ‘Lemonade’ Is a Revolutionary Work of Black Feminism: Critic’s Notebook certainly gives ample praise to the music and visuals. November 3 Drake’s ‘Views’ Has Spent Its First Six Months in Billboard 200’s Top Five . So how have other albums that spent this much time at the top of the Billboard 200 done when the Grammy winners were announced? Garth Brook’s Ropin’ the Wind was not nominated for Album of the Year but won for Best Male Country Vocal Performance. In summary, four of the six won a Grammy of some sort and two won for Album of the Year. Even with no Billboard review, the ranking in the top 200 has to give Views some serious consideration. Stereogum, Pitchfork and NPR all published list of their selections for 50 Best Albums of 2016. What’s interesting about these lists is that none of Views, 25 and Purpose appear on any of the lists, while Lemonade is on all three. In addition, Lemonade is ranked in the number 1, 2 or 3 spot on these lists. A Sailor’s Guide to Earth appears on the Stereogum list at #26 and #49 on the NPR list. Clearly Beyoncé wins the lists’ voting. Certainly vastly different results when compared to the industry list of best albums and the industry reviews. Included in the court of public opinion has to be album sales and weeks on the charts. Adele’s 25 had huge album sales so the 30% from the Billboard poll seems in line. That said, Views was enormously popular when measured by album sales and weeks on the Billboard charts which contradicts the 1.34% in the Billboard poll. Based on music industry reviews and lists, Lemonade is the odds-on favourite to take home Album of the Year. If you want the surprise winner, bet on Sturgill Simpson. Speaking of betting, the odds makers are picking Beyoncé followed closely by Adele. Sturgill, Justin and Drake are long-shots.